Well, it’s over. Everyone who stuck it out from A to Z is well aware of that, I’m sure. So now it’s time to Reflect. I divided my Reflections into three categories: What I Loved. What I didn’t Love. What I’d do Differently. 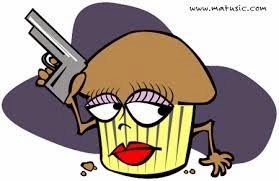 My Muffin Commando Squad Team. They rocked. Visiting my already favorite blogs daily or almost daily. Hilary’s posts about Cornwall were amazing and informative. I’ve marked a few to return to. Julie at Empty Nest Insider always is entertaining and poignant. She was that and more from A to Z.
Alex gave use something fun, informative and interesting daily. Untethered Realms made up a great team and served tantalizing teasers to their books. And speaking of teams, I thought L. Diane’s beautiful photography along with Writer In Transit’s (Michelle’s) short fiction was a super theme. Chrys Fey terrified me with her AtoZ catastrophes, so, of course, I went back again and again. Zalka’s Multicolored Diary intrigued me with myths I’d never heard of before. Discovering new favorite bloggers was something else I loved. J.H. Moncrief’s Tales of Terror and Suspense was a thrill a day. Kern Windwraith’s The Odd Particle Review is so well written and interesting that I’ve marked it as a blog I’ll visit frequently. Maui Jungalow is clever, perky and informative. I’ll be back there for sure. Brigit at BB Creations went through some fabulous actors from bygone eras and filled us in on their lives. So interesting. Scribbles From Jenn took us back through the Twilight Zone, and that was quite a trip. Well written. Some blogs had font that was so small or complicated I couldn’t–and finally wouldn’t–stop by. I soon hated the black background, especially with green font. Be serious! My eyes just couldn’t take it. It was sometimes so hard to figure out where the comment link was on some blogs. It would be great if bloggers would configure blogs so that feature was easy to find. I’d always include a direct link to my blog with my name at the bottom of my comments. I didn’t always do that. I’d try to find MORE blogs I’d never visited before. This is always a challenge during the Challenge. Did I touch on any of your favorite bloggers? Your peeves about blogs your visited? What would you do differently? You might like a Survivor T-Shirt. 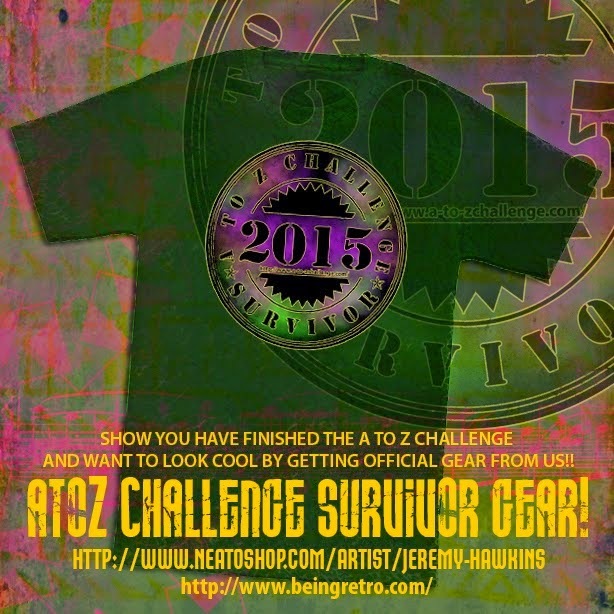 Take a look at what Jeremy Being Retro has designed for the intrepid bloggers who finished the AtoZ Challenge and are proud of it. And then there’s that thing called Insecurity! Can’t forget that, can we? But we can give it a poke in the eye with a sharp stick. Go away. I don’t want to be Insecure today. How easy that was. Try it. See what happens. LAST DAY HURRAY. WE DID IT. Don’t forget the Reflections Post. The Linky goes up May 4 through May 8. Sign up. Create your post and put the permalink to that specific post on your blog. 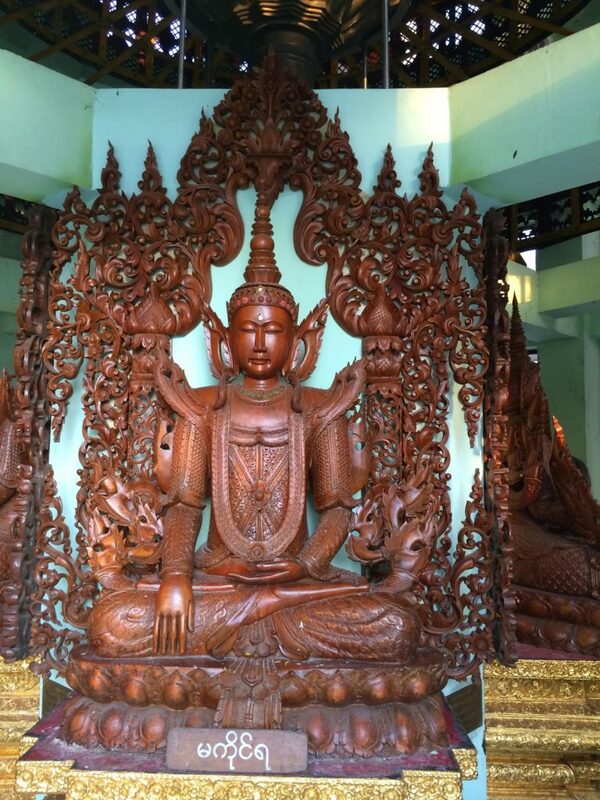 Buddah carved from solid teak. In the Burmese alphabet, the Za is written two different ways, according to the charts I saw. The two characters for Za are on the second line the third and fourth characters from the left. A tonal language, written Burmese is over 1,000 years old. The tones aren’t just simple pitch issues. Meaning changes with the duration a sound is held and whether the sound is voiced (e.g. Z) or voiceless (e.g. S). Good luck with those tones. English is a Subject-Verb-Object language, but Burmese is Subject-Object-Verb, and to get really Linguistic on you, the Verbs can be “quasiagglutinative.” So there you have it. Aren’t you glad you read to the end? And speaking of that. . .this is THE END. Adios AtoZChallege 2015! Now I’m off to collapse on the couch with my Burmese language tapes. 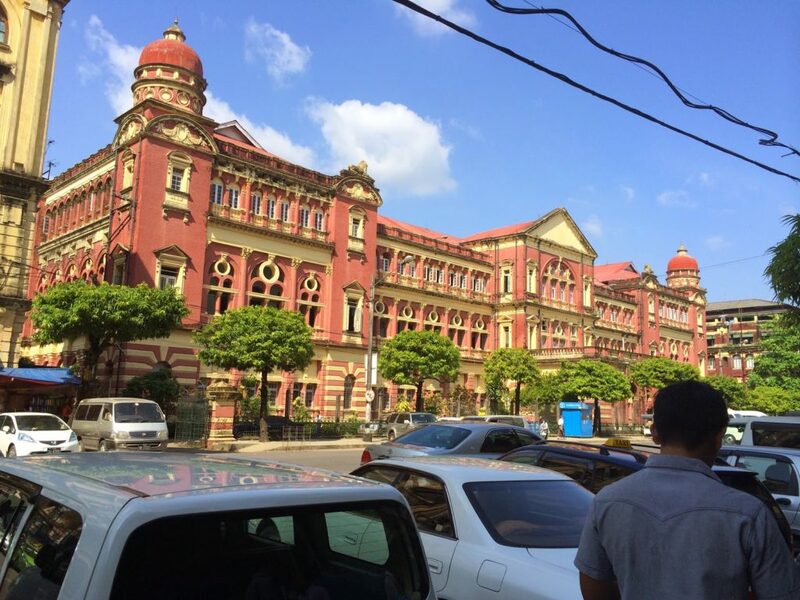 Question: What do you know about Yangon? 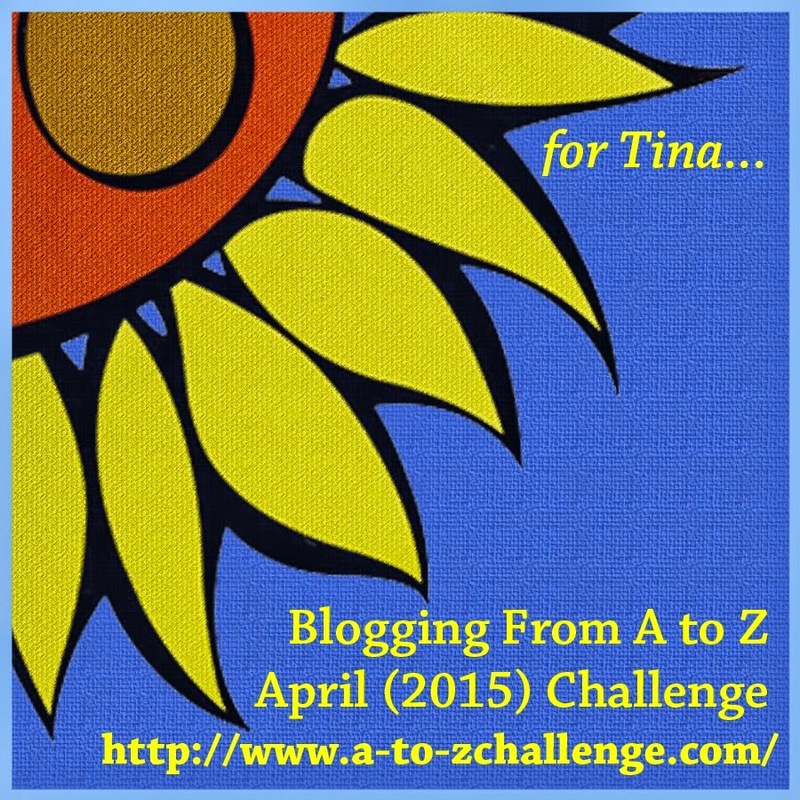 Just in case you did some speed reading through my carefully prepared Z post, here it is again. May 4-8 is the chance to REFLECT. Sign up on the Linky and tell everyone what you liked, what could be better, what you’d do again or what you’d do differently. Don’t forget: permalink the post. It only takes a minute to visit more AtoZers on the Linky. My theme this year is Burma AKA Myanmar. 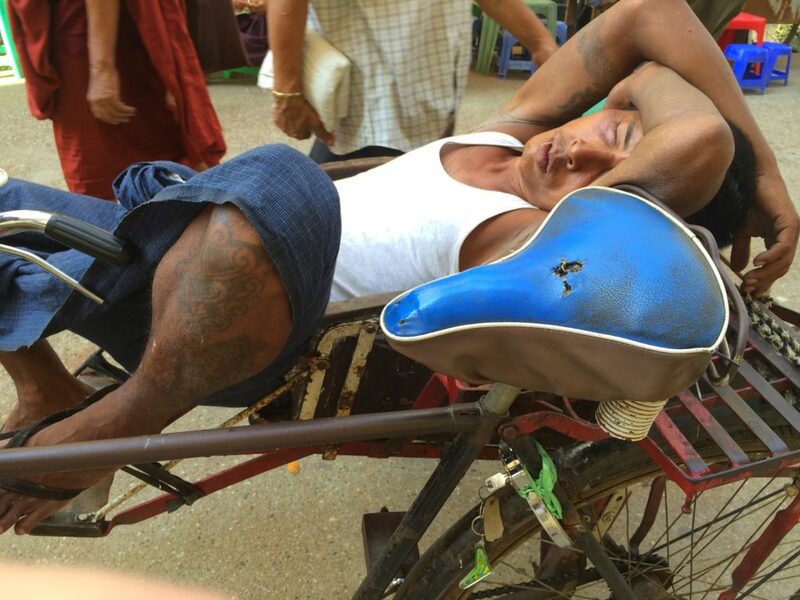 I used to live in Laos, so I looked forward to returning to Southeast Asia. I spent a little over three weeks exploring this country, learning a bit about its culture: its history, religion, and language. I thought others might enjoy some of what I learned and see some of what I saw. 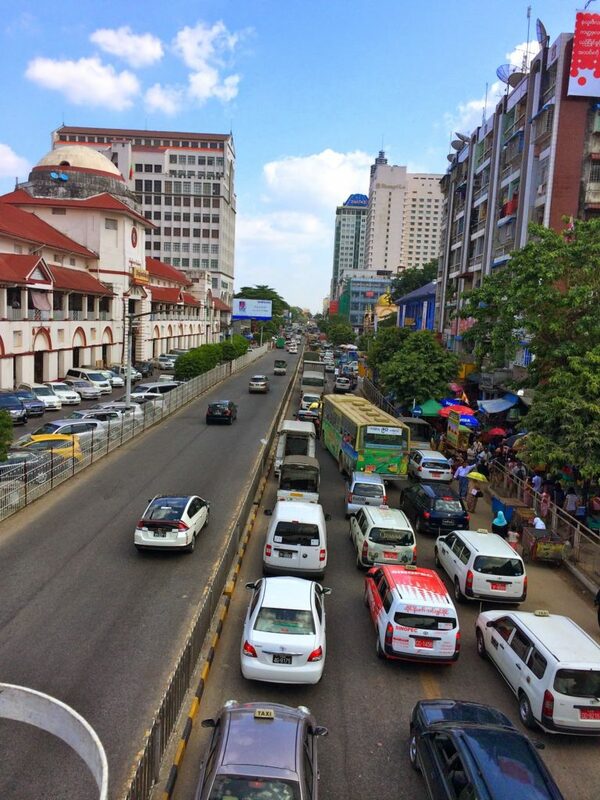 Yangon is a city of beautiful contrasts. 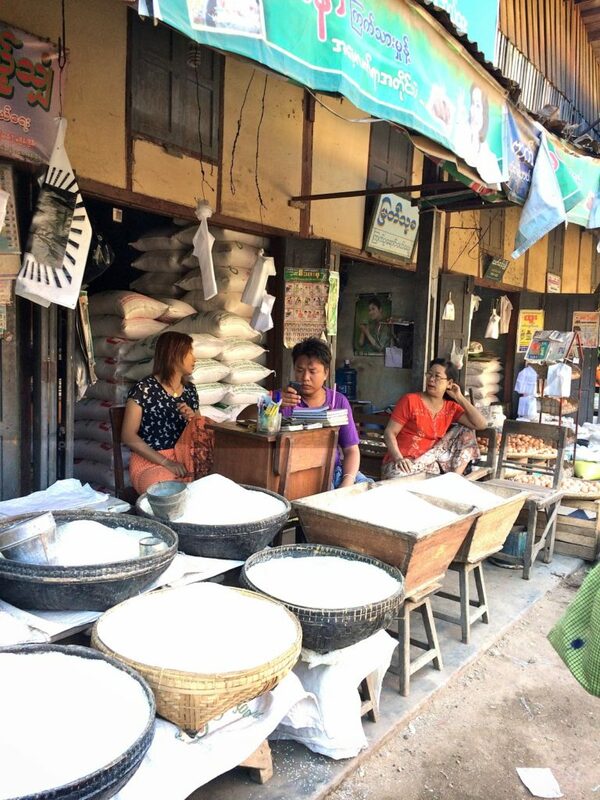 Markets flourish along the crowded sidewalks, but they do have sidewalks, so that’s a huge improvement from Mandalay where every step could plunge you into a sewer or oncoming traffic. 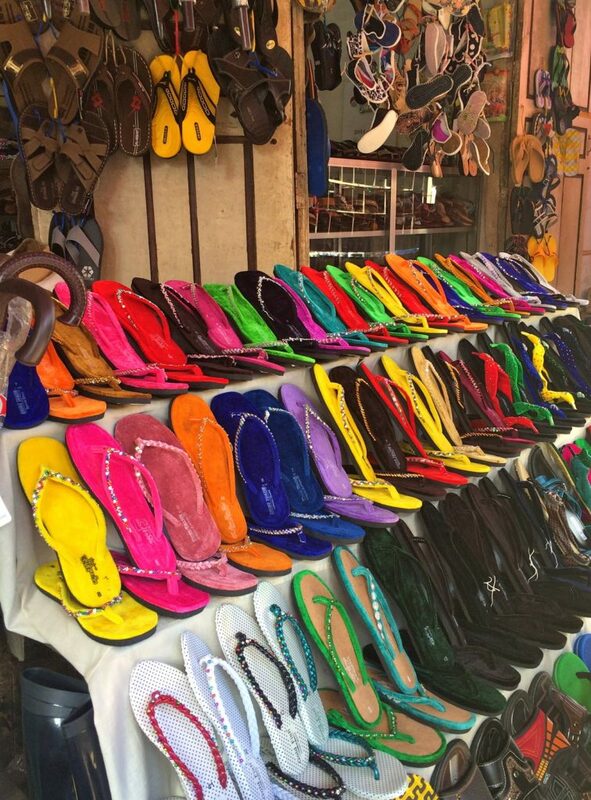 Everything from Shoes. . .
I’m not a city person, but I do enjoy the kinetic excitement once in a while. Yangon didn’t disappoint. Question: What do you know about the xylophone in the Strand Hotel? 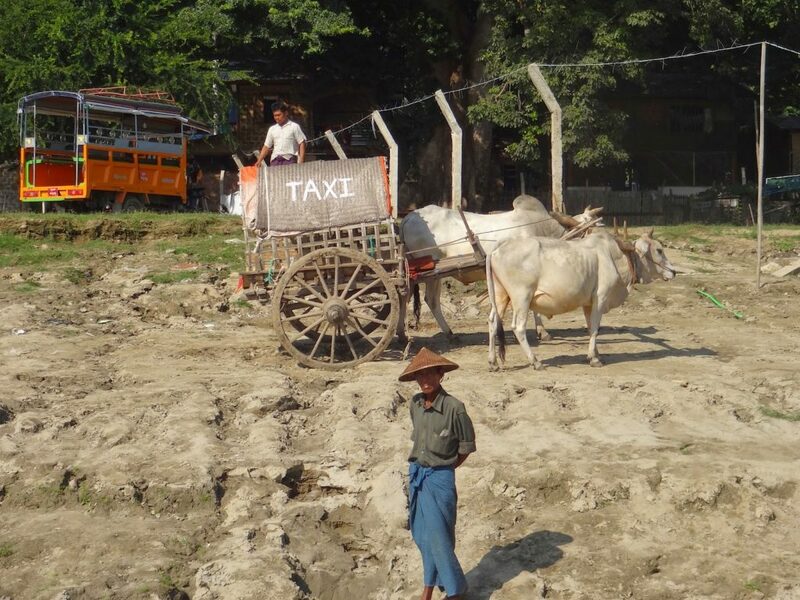 NOW what do you know about Yangon? T/F 1. 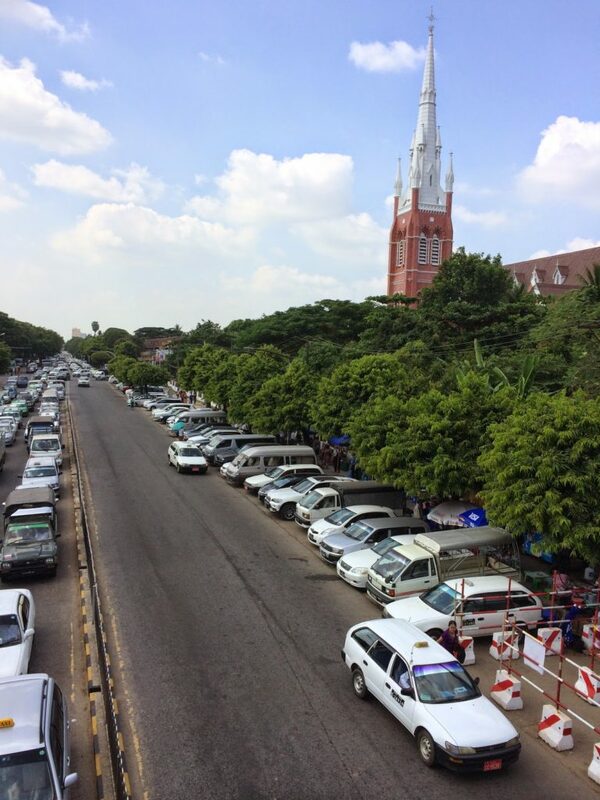 The Mons were the earliest inhabitants of the area now called Yangon. 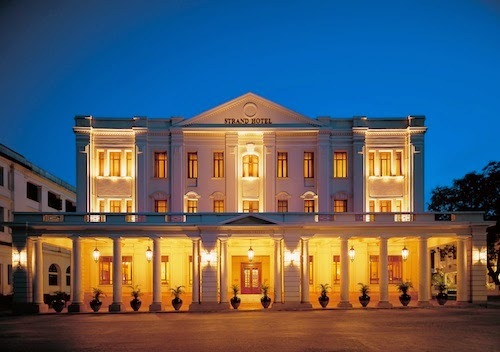 A huge treat for me was going to the Strand Hotel in Yangon. 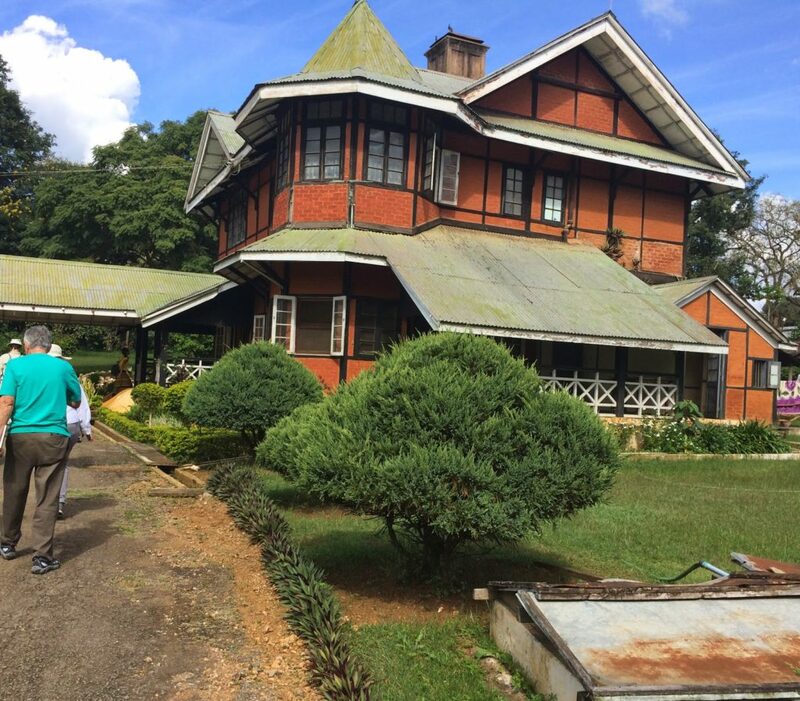 They’ve restored the old colonial building and it was a step into the colonial history of Burma. The warm wood paneling and elegant polished floors were so elegant. 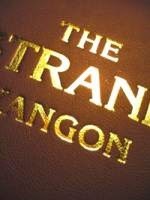 In the lobby a young lady played the Xylophone, so while I sipped my very expensive coffee (5000Kyat which equaled $5), I listened to music and pretended to be in the early 1900’s, back in a time when the city was called Rangoon, wearing an elegant gown, carrying a parasol on my arm. Question: What do you know about this Lotus that’s used for weaving? 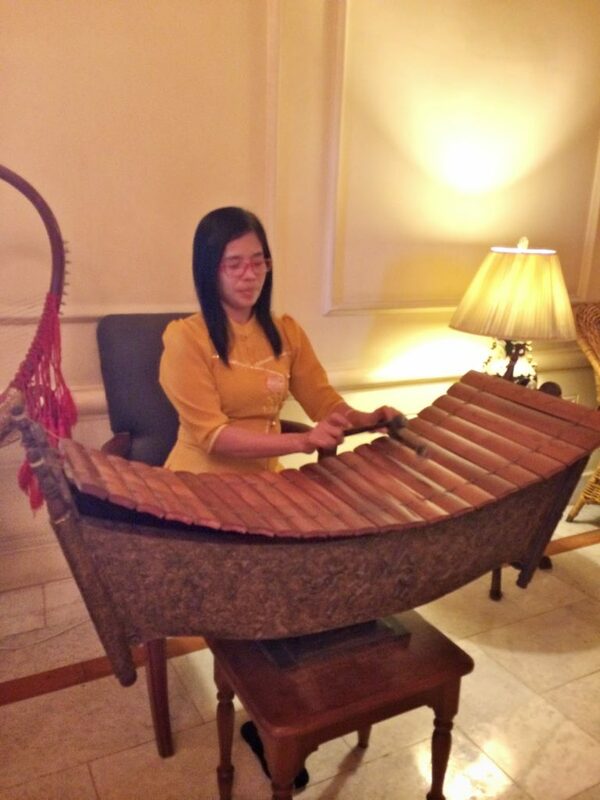 NOW what do you know about the xylophone in the Strand Hotel? T/F Authors such as Maugham, Kipling and Orwell were entertained by the music from the xylophone in the Strand lobby. 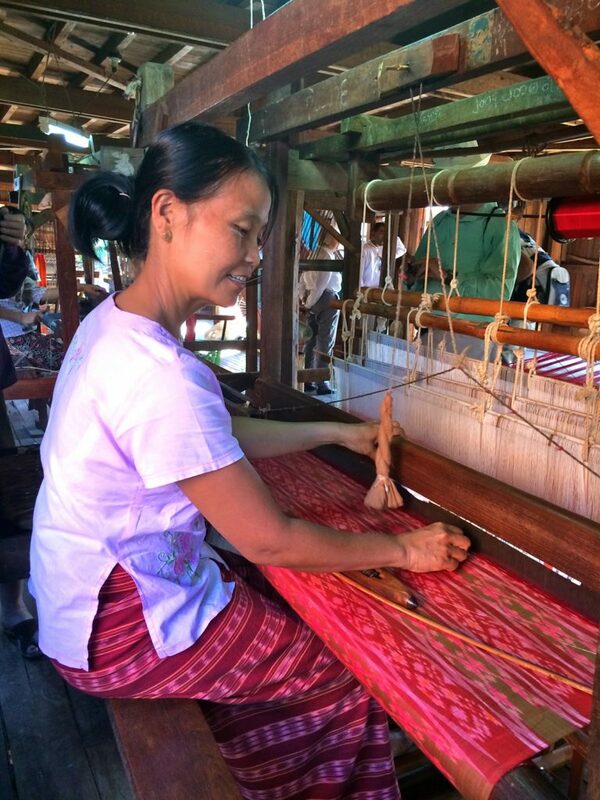 Weavers in Burma use, high grade cotton, silk and lotus to create fabrics. 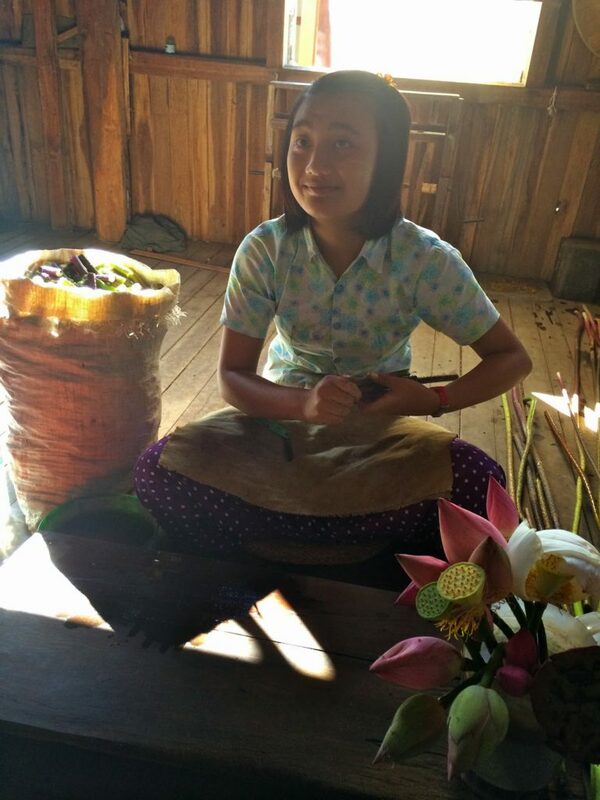 Here the girl peels and shreds lotus that will be made into a very fine scarf or skirt. A lotus scarf costs about $35 US. A cotton one about $8. Silk is $25. NOW what do you know about this Lotus that’s used for weaving? T/F 1. 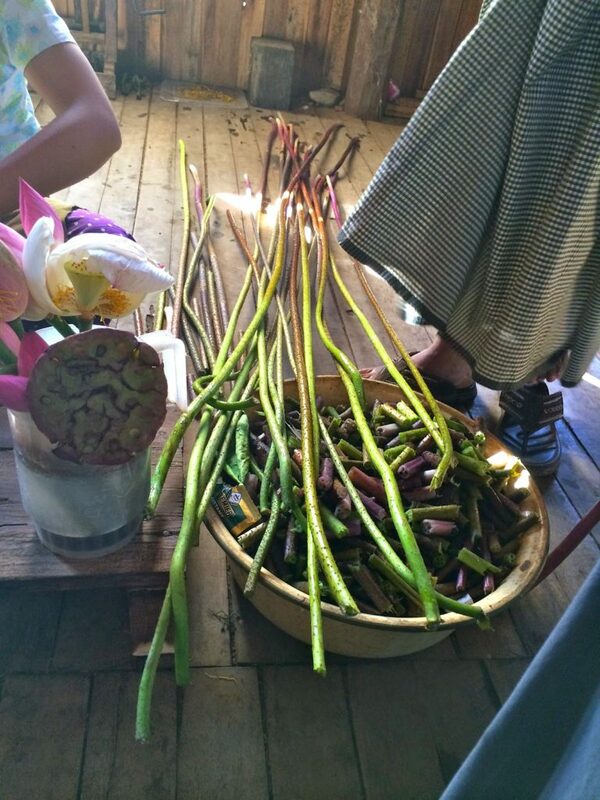 While the lotus is used for weaving cloth, it’s also a sacred plant. T/F 2. The lotus flower is beautiful, but poisonous. 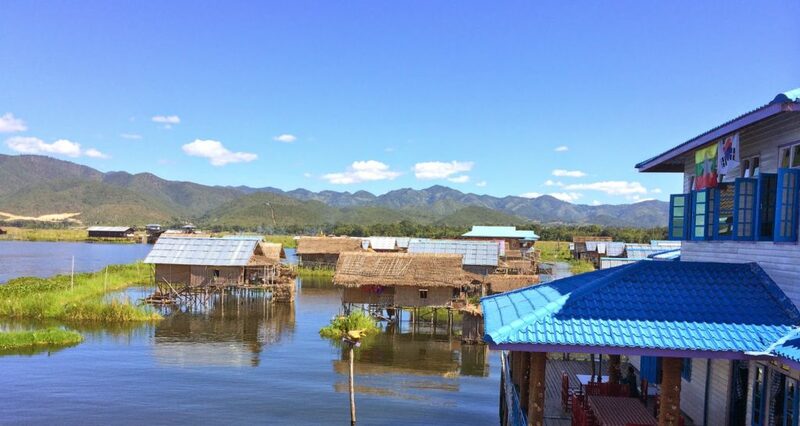 This is a village on Lake Inle. The only way to reach the houses or the monastery is by boat. 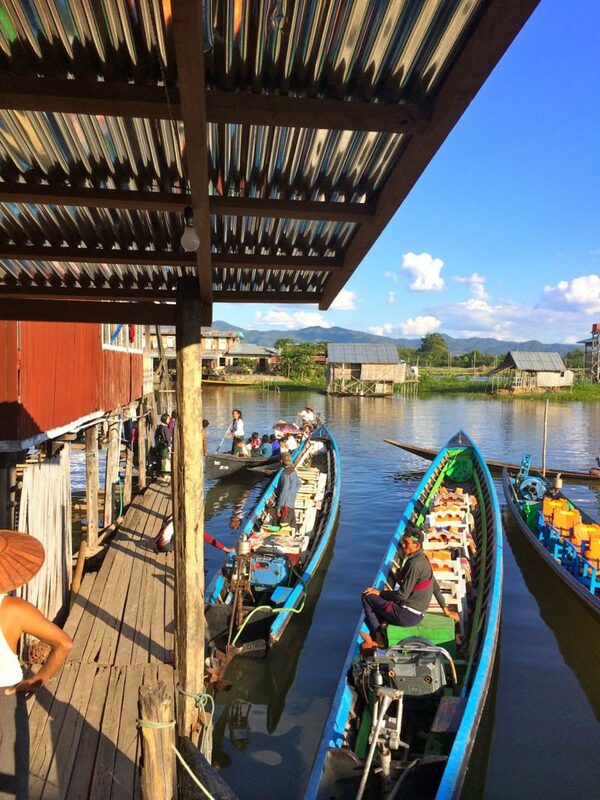 This is how you get around the villages of Inle Lake. 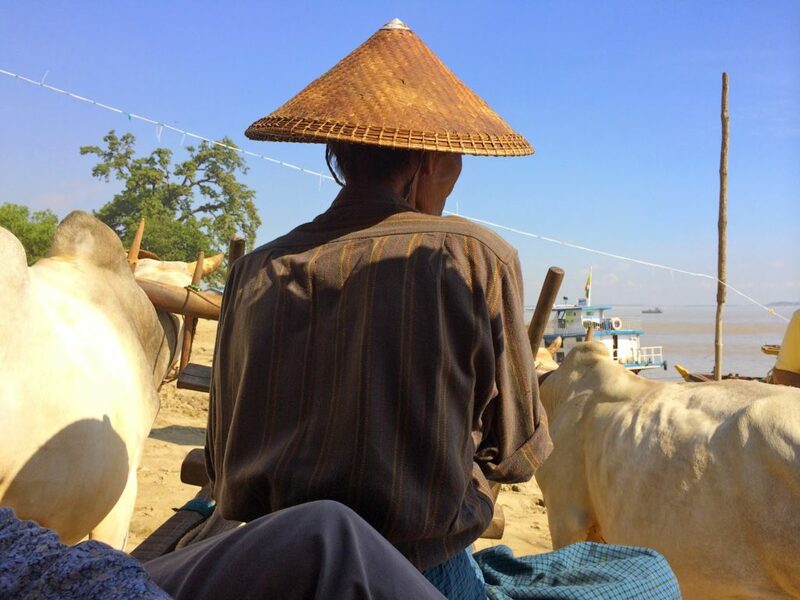 Answers to what do you know about British Colonial Times in Burma? F 1. Britain went to war with Burma in the early 1900’s. (The war began in 1824 when Burma’s Konbaung Dynasty tried to move into an area close to Britain’s Indian. Pyinoolwin was a British summer retreat. Many Colonial Houses still stand. It was cool mountain area. 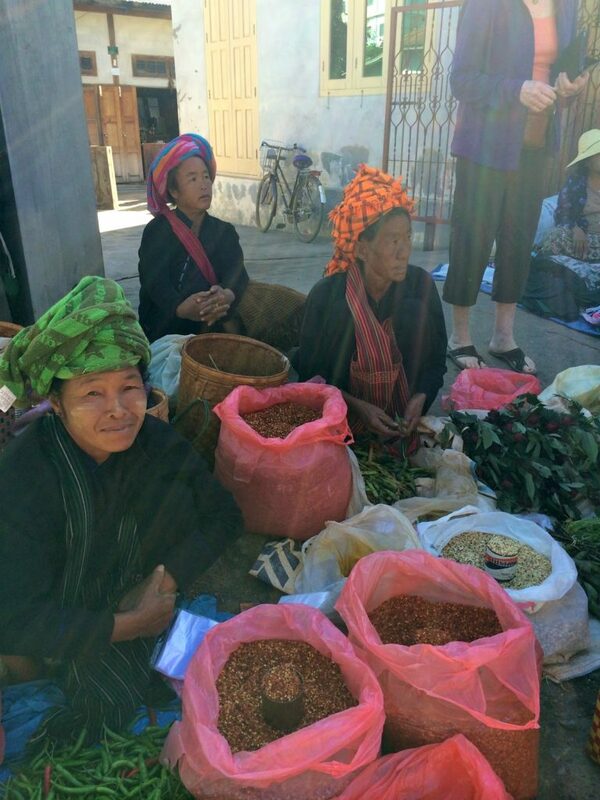 Answers to what do you know about tea in Burma? NOW what do you know about British Colonial Times in Burma? T/F 1. Britain went to war with Burma in the early 1900’s. T/F 2. The Anglo-Burmese War had a few causes, but the most commonly named are the British desire for access to teak forests in southern Burma and a port to ship from. Somehow I missed getting the side of the wagon that had the sign painted on it. The driver had a very large dark one that said TAXI. I could see it as the boat pulled up to the shore. Photographer fail! But I got this one from a friend! It was a bumpy ride, but we got to where we wanted to go and back to the boat safely. The driver told jokes, but I didn’t get them. I’m not good in Burmese. 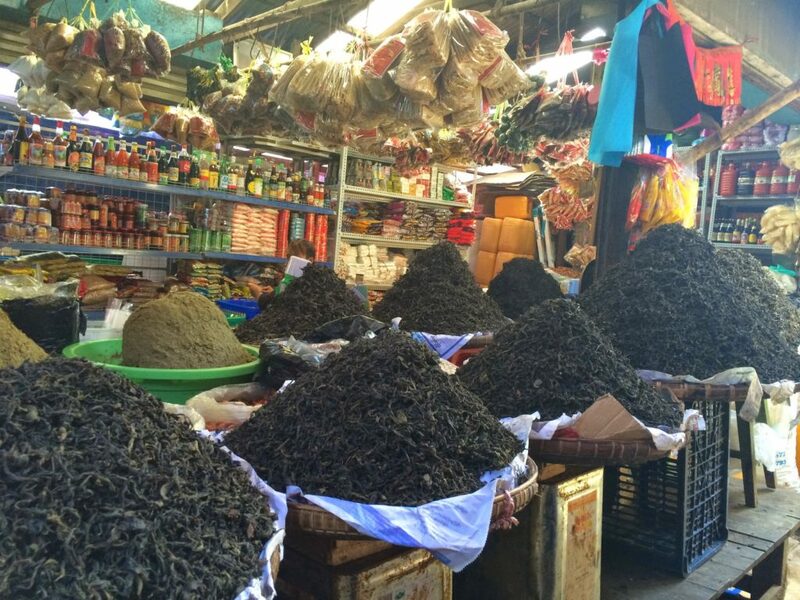 Burma has no shortage of Tea! And it’s delicious. 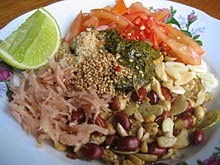 So is the Tea Salad. I ate that for every meal. Answers to what do you know about stupas? 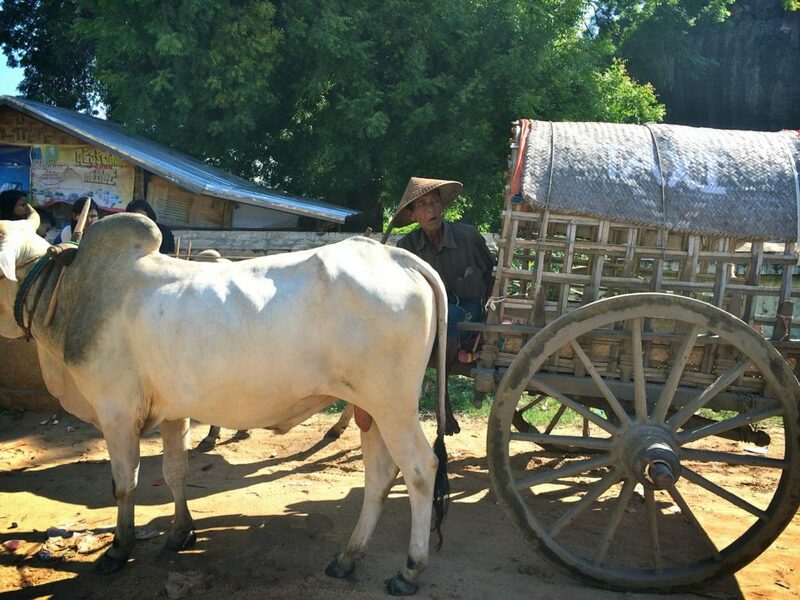 NOW what do you know about tea in Burma? T/F 1. When ordering tea, you should know what kind you want:sweet, strong, sweet and strong. There are many different combinations. T/F 2. You can order tea by the cup or bowl. So what’s a stupa? Here’s a picture of a few. They’re solid structures and were originally created as burial mounds. Today they’re tributes created by Buddhists for positive karmic results. Destroying a stupa is equated with murder and result in extremely negative karma. 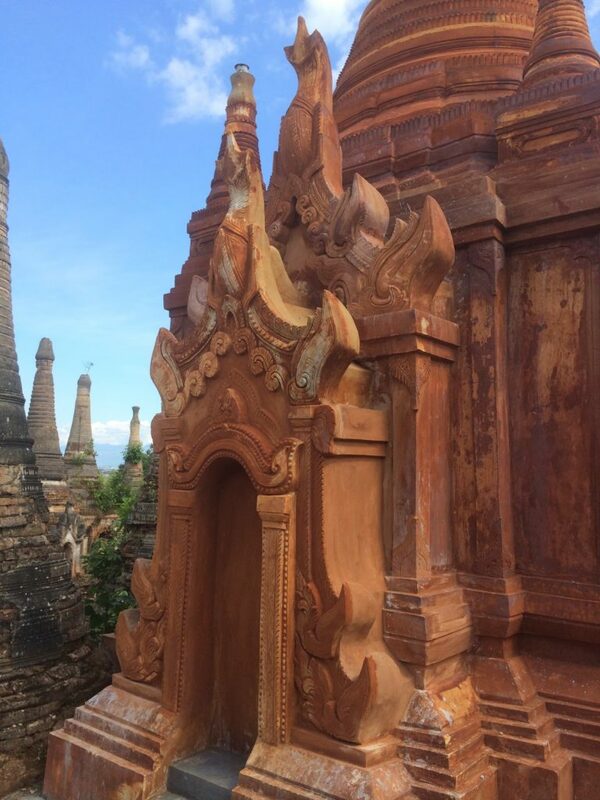 There are different kinds of stupa shapes. 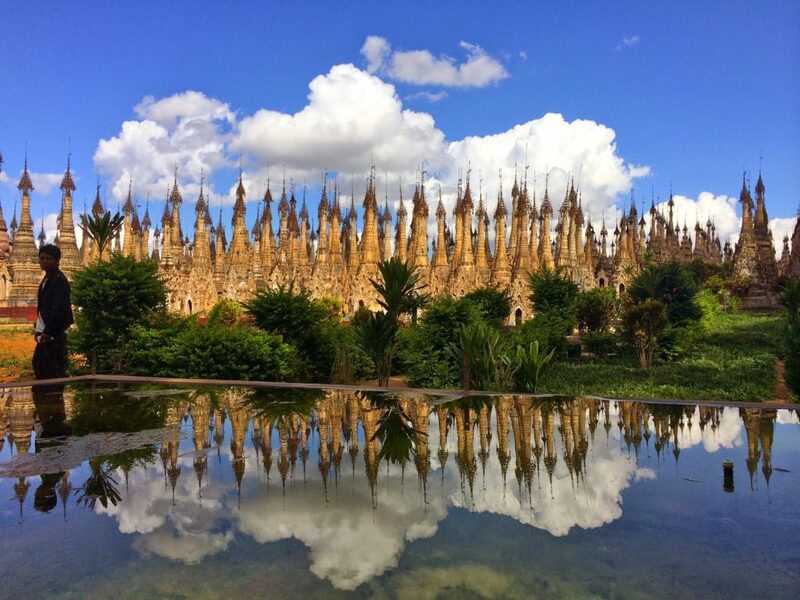 Shan State is a large section of Burma that borders Laos, China and Thailand. 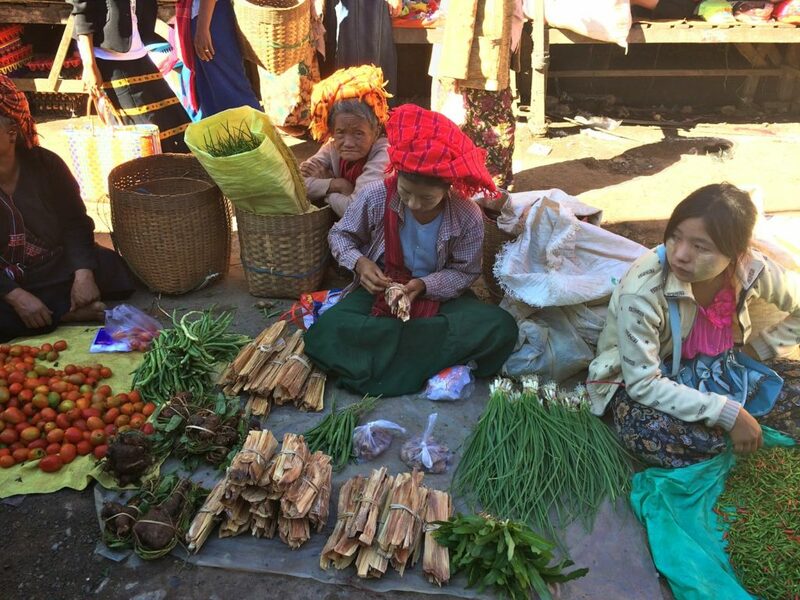 It’s the only place in Burma that grows garlic, and some rather pricey poppies. It’s a wealthy state and the homes as well as the people reflect that wealth. 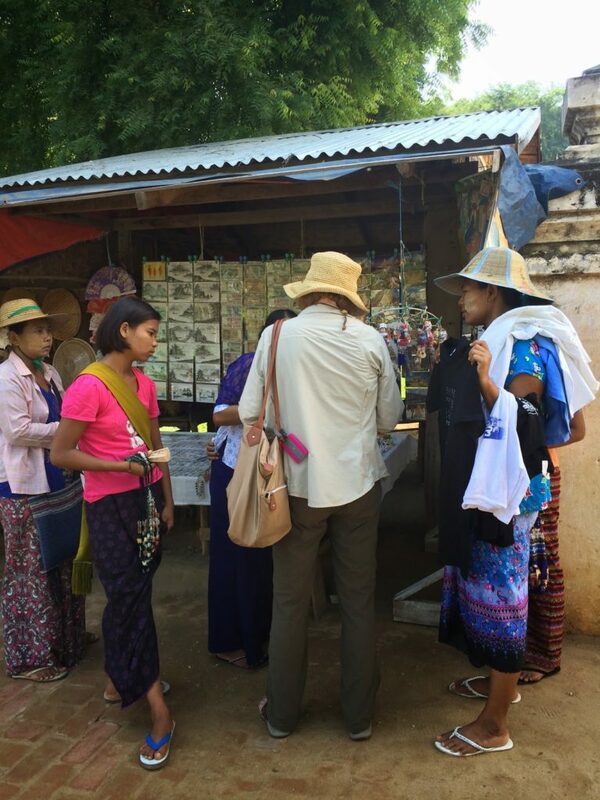 Shan State headgear identifies what village they come from. Answers to what do you know about rice? NOW what do you know about stupas? T/F 1. The origin of the stupa is India, and at the center of these there’s usually some kind of holy relic. T/F 2. Pagoda is an umbrella term that includes stupas along with temples and other Buddhist structures. 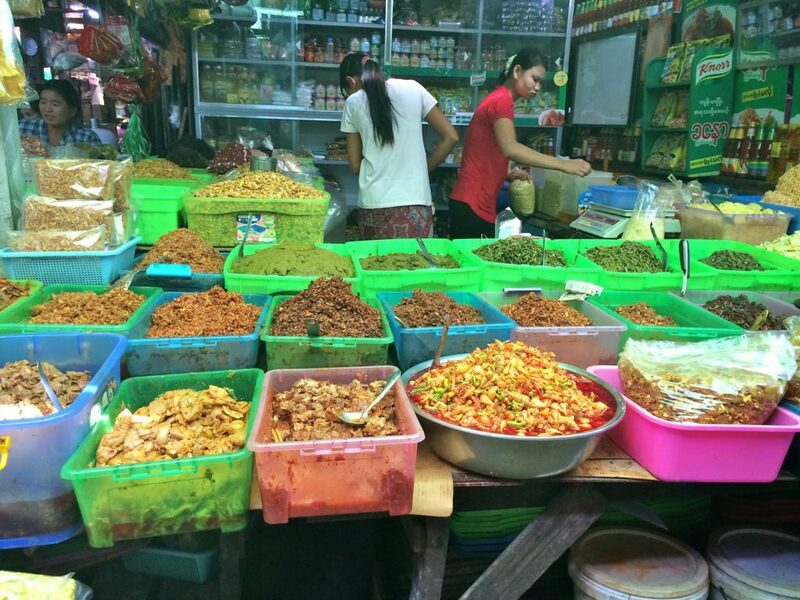 If you don’t like rice, don’t go to Southeast Asia, EVER. I happen to like it, so eating it all times of the day was perfect. It’s their staple. It’s not expensive. It goes with everything and fills you up fast. 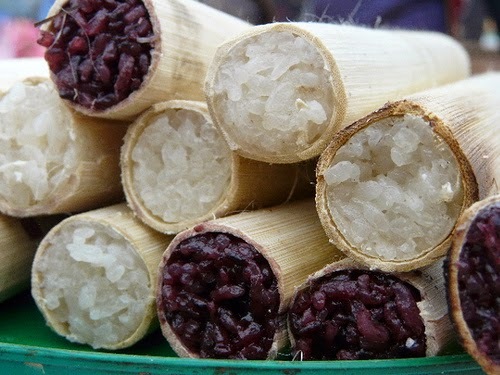 My favorite rice treat has always been Sticky Rice Cooked in Bamboo. You peel the stalk and eat the rice like a candy bar. Delicious. I didn’t have short quiz for yesterday’s letter Q. 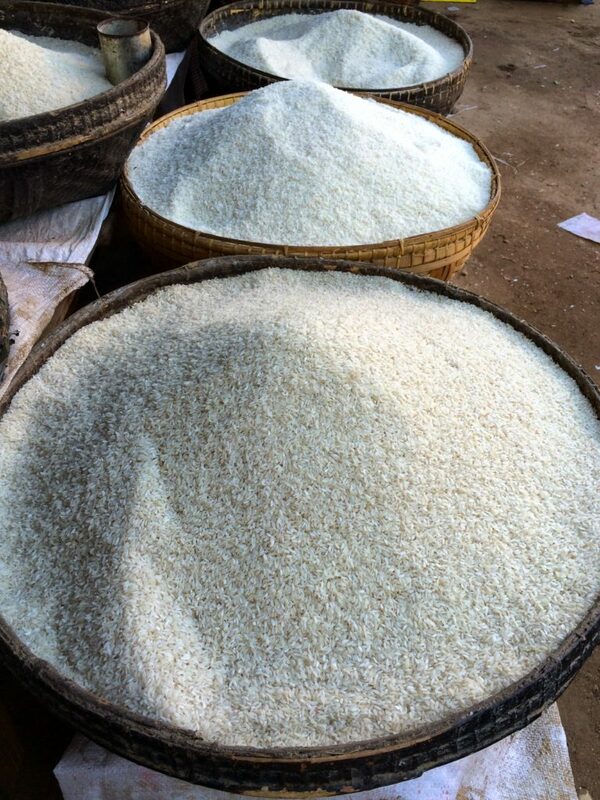 But what do you know about rice? T/F 1. In Burma, it’s believed the Kachins–people from the northern part of that country– came from the center of the earth to sow rice seeds. T/F 2. 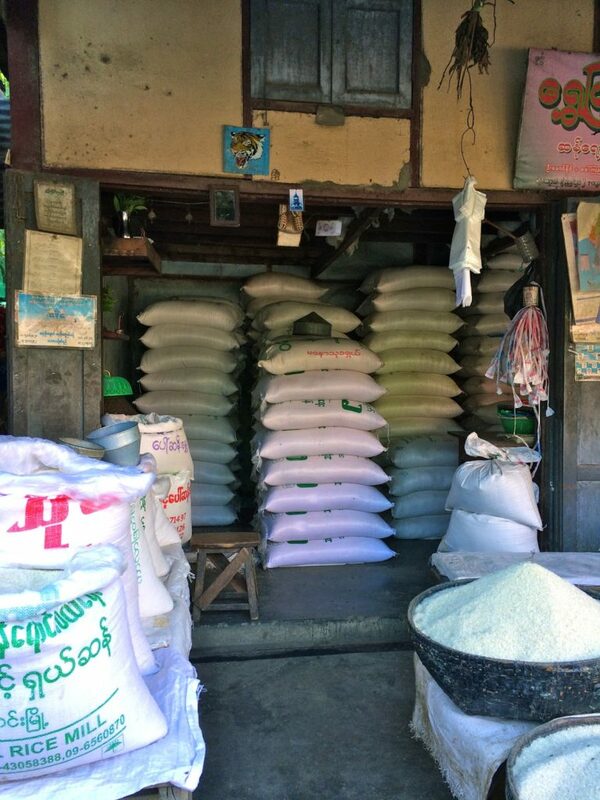 Rice requires a lot of water to grow, so it’s limited as to where it can be planted.